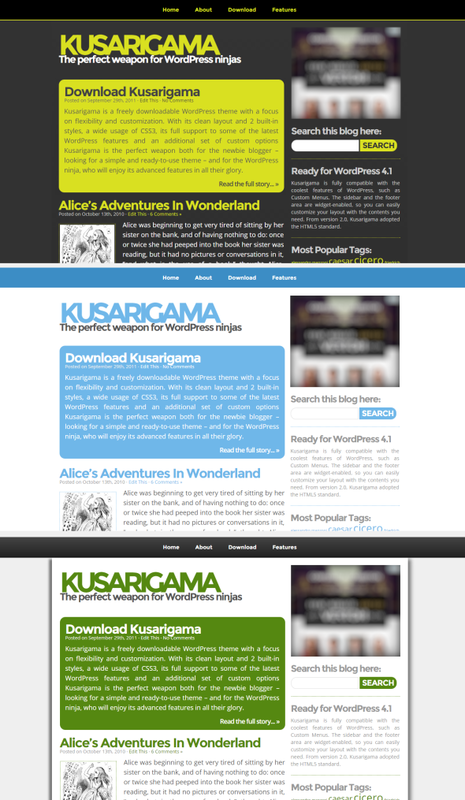 A long time ago (it was 2011) I created Kusarigama, a free and highly customizable theme for WordPress with a “classic” blog design, focused on readability, typography and ease-of-use. 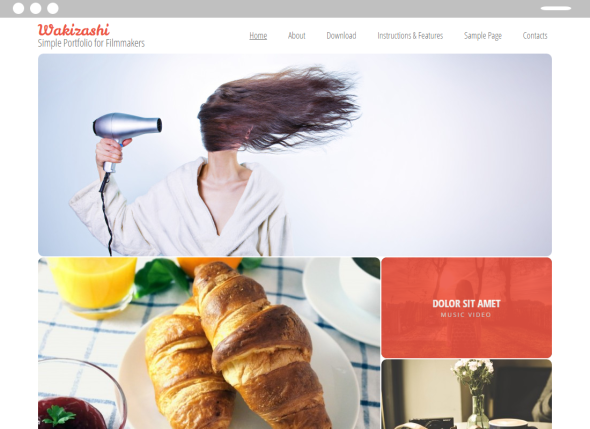 With its clean layout and 3 built-in styles, 2 widget-enabled areas (sidebar and footer), its full support to some of the most useful WordPress features (such as custom menus and threaded comments) and an additional set of custom options (e.g., Google Analytics and easy banner inclusion), Kusarigama is perfect both for the newbie blogger – looking for a simple and ready-to-use theme – and for the WordPress ninja, who will enjoy its advanced features in all their glory. Kusarigama is available for free download as my personal gift to the amazing WordPress community. You can find a complete code history on GitHub. During this holiday season I found some time to release Wakizashi, my new WordPress theme designed with filmmakers and video producers in mind. 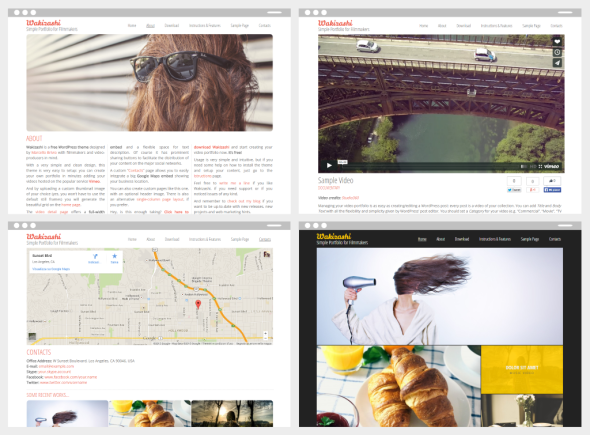 4 different stylesheets to choose from! » Read more about Wakizashi and take a complete look to its features. Adding an item to your video portfolio will be as easy as creating a WordPress post: add title and description, upload a thumbnail image of your choice (yes, you won’t have to use random-selected still frames) and paste the Vimeo ID of your video. That’s all. Wakizashi is released for free download under the GNU License. Wakizashi’s source code is also available on GitHub.